Image | January 29, 2016 August 23, 2016 | Polar Focus, Inc. 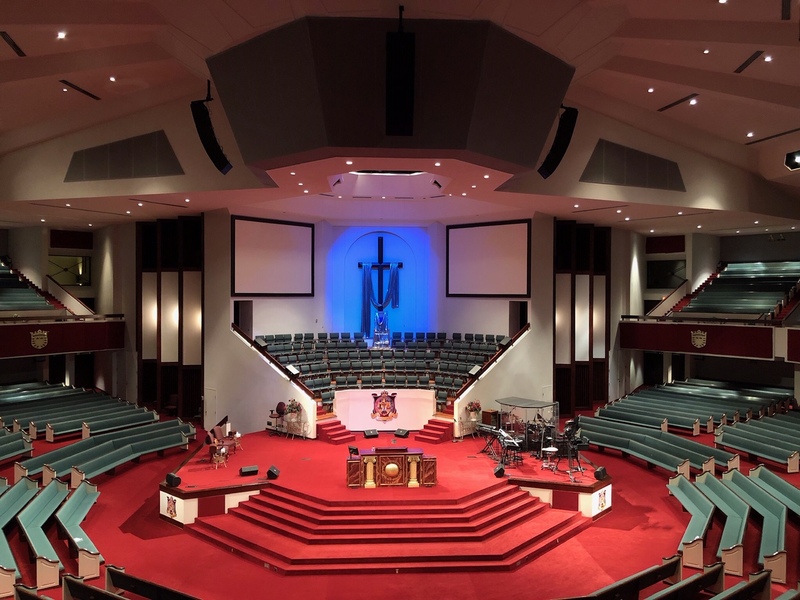 Many times Polar Focus has received phone calls from contractors who are installing an audio system specified by a design consultant, but there is no specification for the rigging system. 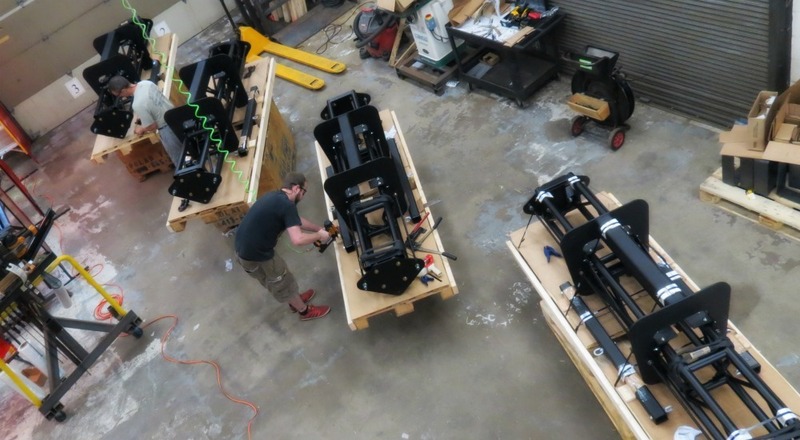 We design a rigging system for the contractor, working backward through the audio design. This is often at a highly expedited pace since, when rigging is an afterthought, it tends to be left to the last minute. We have often wondered if there could be a calmer, more deliberate way to assure safe, accurate rigging of audio installations. The Polar Focus Consultant Support Program is a service provided to established professional design consultants. It is free of charge for those who design audio systems specifying Polar Focus speaker rigging products. Our products not only meet the highest specifications and safety requirements, but also minimize labor costs and potential errors confronted by the end contractor involved in the physical installation. We provide the exceptional quality that matches the thoughtful work you have put into your audio design. 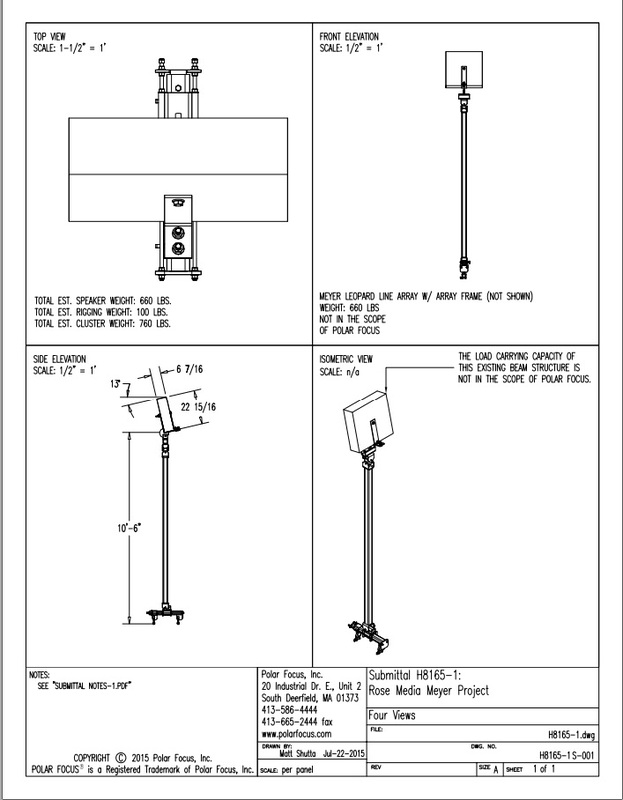 If you have any projects which could benefit from rigging with a 10:1 design factor along with independent pan and tilt, feel free to give us a call. We are always happy to discuss specific applications, work with technical challenges or adapt designs to maximize savings without compromising safety considerations. Please call us today if we can assist in streamlining your job process. See our CSP Datasheet for more information. 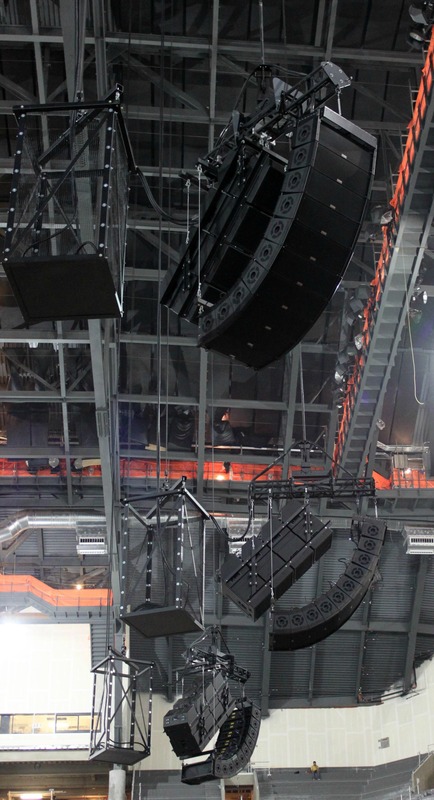 Need help rigging, mounting or aiming your loudspeakers or line arrays? We can help! Call us at (413) 586-4444. January 26, 2016 August 23, 2016 | Polar Focus, Inc. Here are some completed photos of the new system at the Firestone Community Learning Center in Akron, OH. 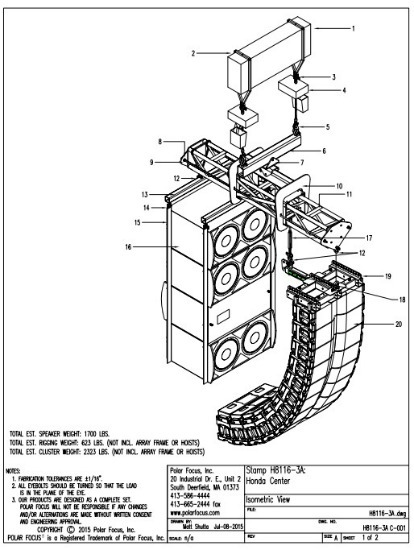 There are 24 speakers total in five clusters. 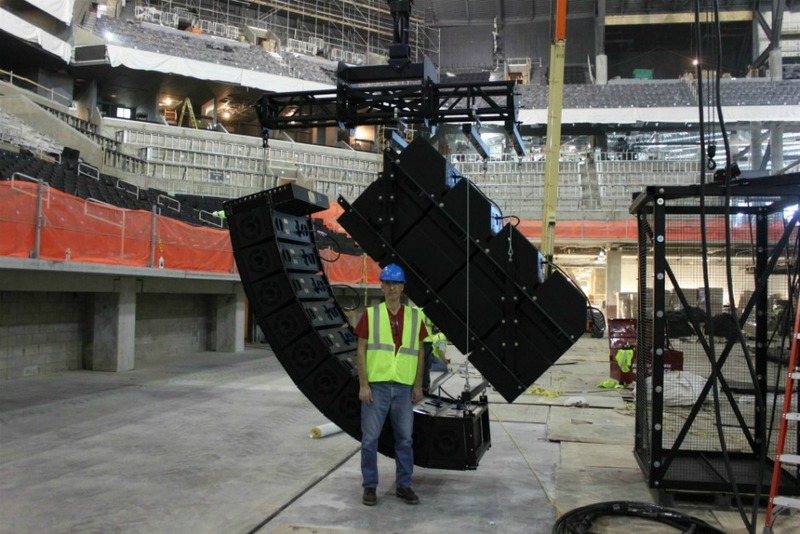 Each of the side clusters has a total of 7 Roommatch loudspeakers, and there are two small clusters on either side of the center with two LT6400 each for near fill. 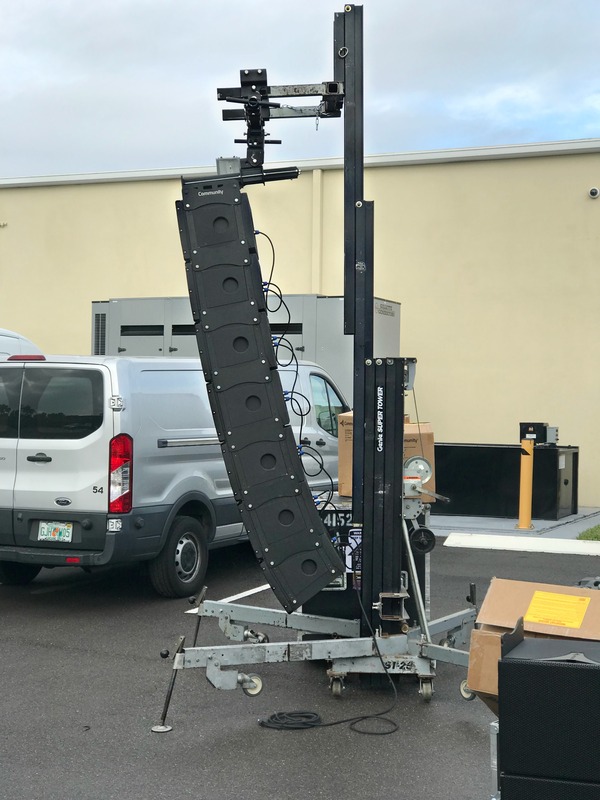 Polar Focus supplied roof attachment, Zbeams, Spine Frame Adapters, our PY1 Line Array Rigging Components, and custom built spreaders for the extra lifting point on the stock Bose extender bars. PE stamped drawings in any US State provided by Polar Focus. 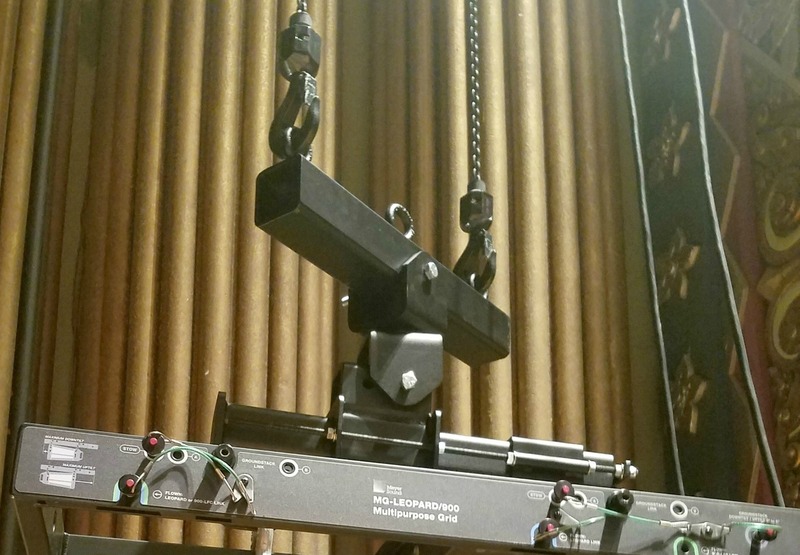 December 2, 2015 January 27, 2016 | Polar Focus, Inc.
Here’s a document we created to illustrate the variety of single speaker rigging configurations possible using Polar Focus hardware. 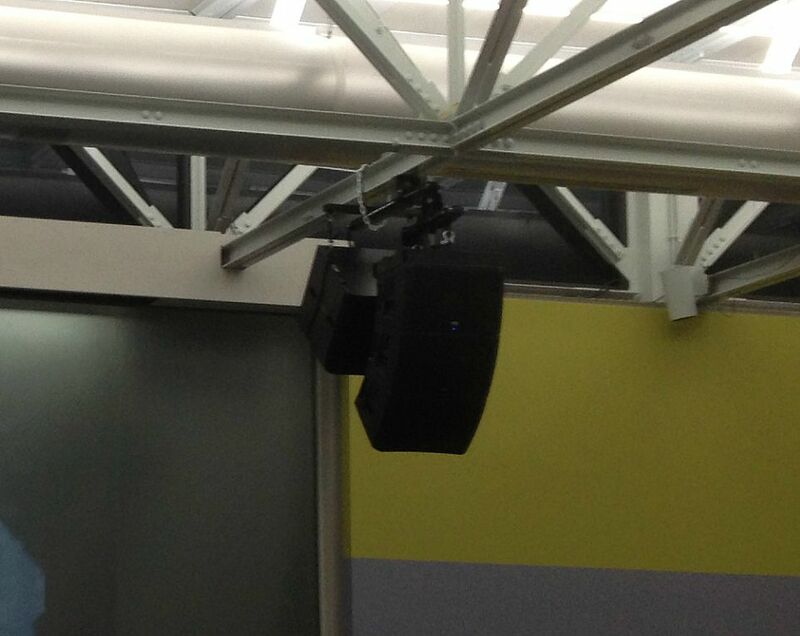 We used EAW QX Series for this document, but these layouts can work for most single hang professional loudspeakers. This document illustrates Polar Focus rigging with common roof attachment methods. It is not intended to be all inclusive. We have many more standard roof attachment and cluster configurations. and correct technical fulfillment of an audio design. factor provides the high level of safety and peace of mind required by our customers. 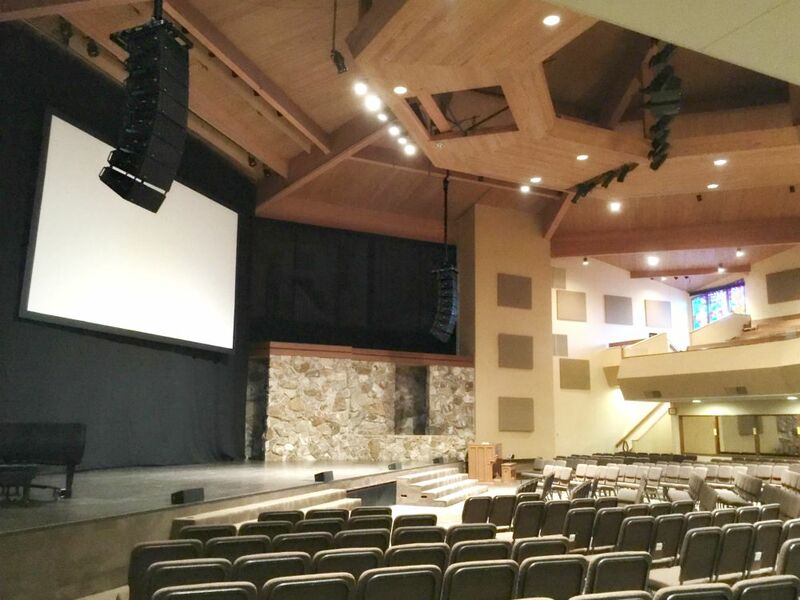 Image | September 1, 2015 March 30, 2016 | Polar Focus, Inc.
Polar Focus provided a pair of Custom Beam Attachments, Seismic Posts, and Spine Frame Adapters to Chad Rose of Rose Media Integration for this installation at Gateway Fellowship Church in Poulsbo, Washington. 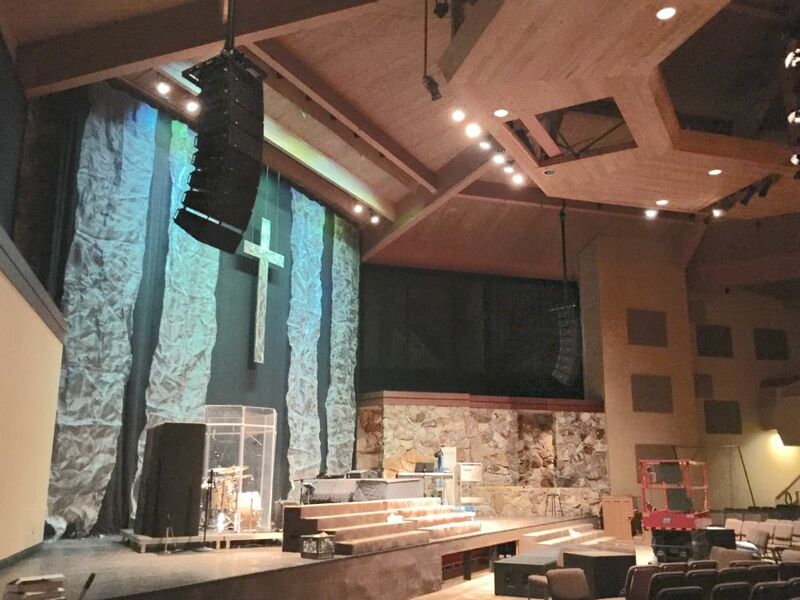 First ever installation of Meyer Leopard line arrays for the lucky congregation at Gateway Fellowship. Polar Focus Type 4 Custom Beam Attachment and Seismic Stem were used to fly these clusters. 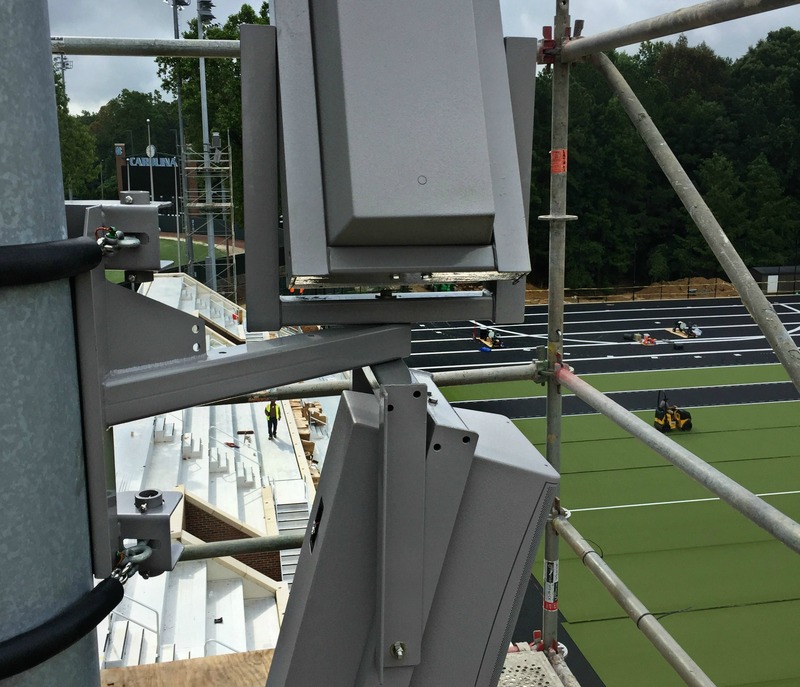 Meyer Sound engineers were on hand for system tuning, as this was the first ever installation of the new Meyer Leopard line arrays. They had praise for Polar Focus products and said this was the cleanest installation they had ever seen. The Roof Attachment to a rolled wood purlin is using our state of the art Type 4 Custom Beam Attachment. 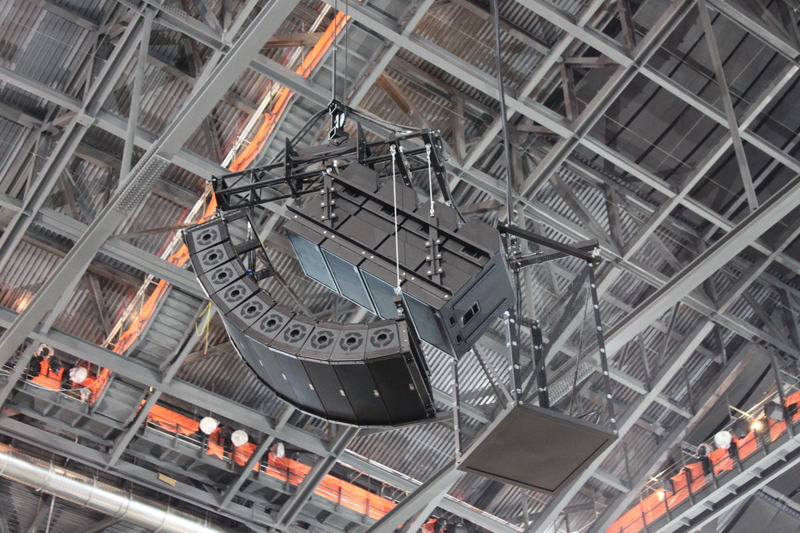 Pan and tilt of the line array is, of course, fully adjustable under full load. A closer look at Polar Focus roof attachment for the Meyer Leopard clusters. The Seismic Post has a large universal joint on top, allowing lateral motion of the building in the event of an earthquake. The universal joint enables the Seismic Post to pivot with the building movement, without putting torque on the roof beam. Power and signal cables are routed through the 10 foot Seismic Post, allowing for the cleanest look possible. 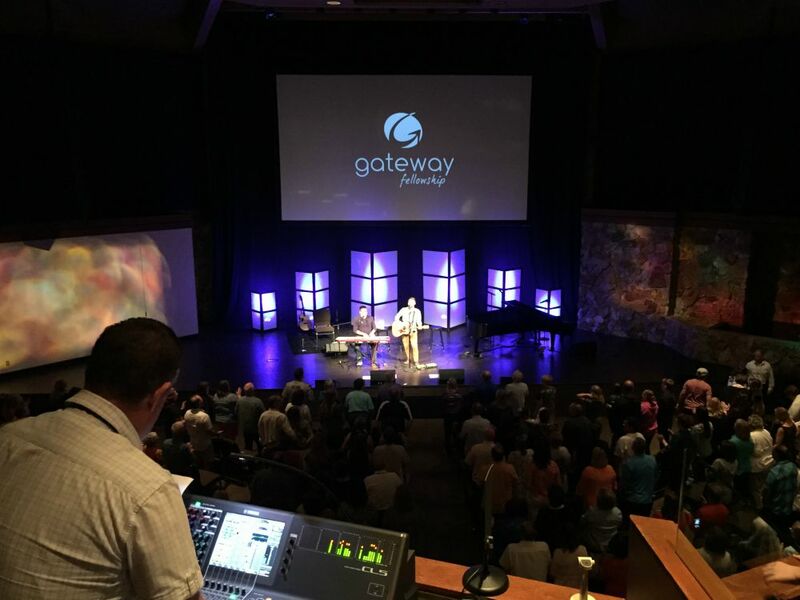 You can see Gateway is already enjoying their new system! We enjoyed being a part of this exciting project! Polar Focus reduces labor cost and variability by providing rigging systems which are pre-assembled to the maximum extent possible. 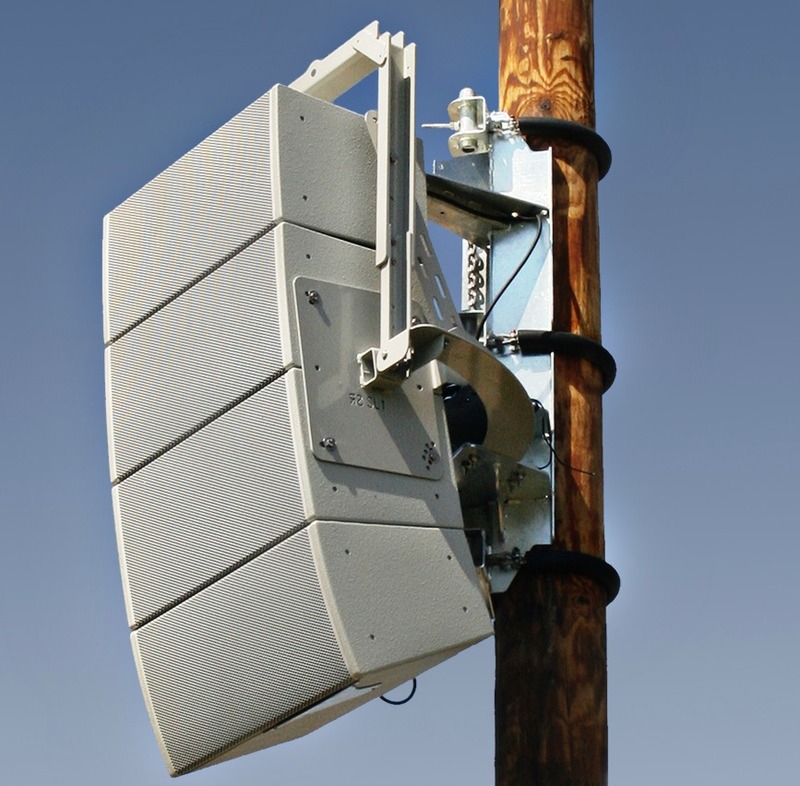 Need help rigging, mounting, or aiming your loudspeakers or line arrays? 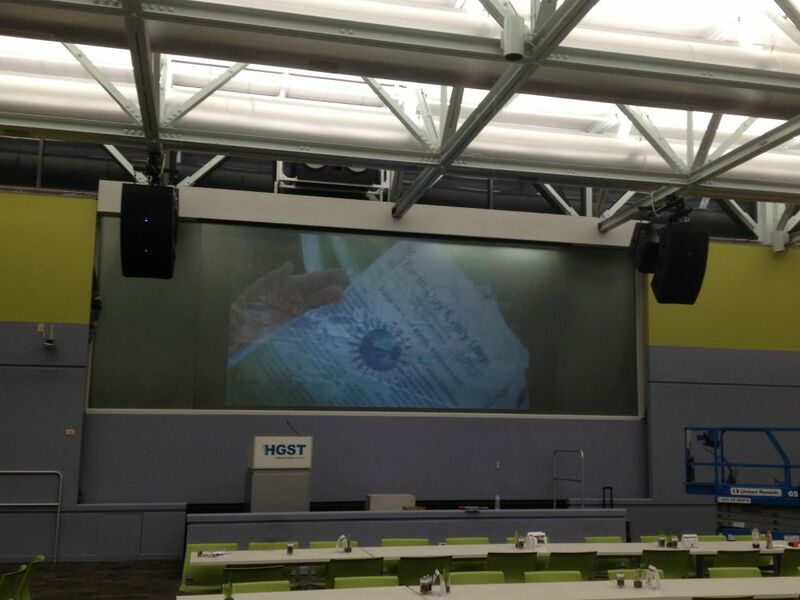 August 4, 2015 January 28, 2019 | Polar Focus, Inc.
Polar Focus provided custom roof attachments for these QSC speaker clusters from steel beams at HGST – Hitachi Global Services Technologies Group in San Jose, CA. The cluster consists of 3 QSC Audio Products KLA 12’s in front; behind is a time aligned KLA 181 subwoofer. Great looking installation by the team at AVI-SPL. Photos courtesy of Jefferson Galatro, Sr. from AVI-SPL’s Pleasanton, CA office. which are pre-assembled to the maximum extent possible. Video | June 22, 2015 March 29, 2016 | Polar Focus, Inc.
Infocomm 2015 in Orlando was as busy, exciting and informative as it always is. We enjoyed the opportunity to talk with everyone who stopped by our booth! We hope you made great connections and learned some things you can use in your business immediately. Our newly designed Pole Mount, the PM2-10-Z, is designed for use with tapered poles from 4″ – 10″ in diameter. If you ever have to pole mount speakers, lights, or video screens on permanent poles or poles in tents, you will like this great new product! Pole sizes larger than 10″ can be accommodated with a custom chain kit. Call us if you’re not sure which PM product is best for your application. 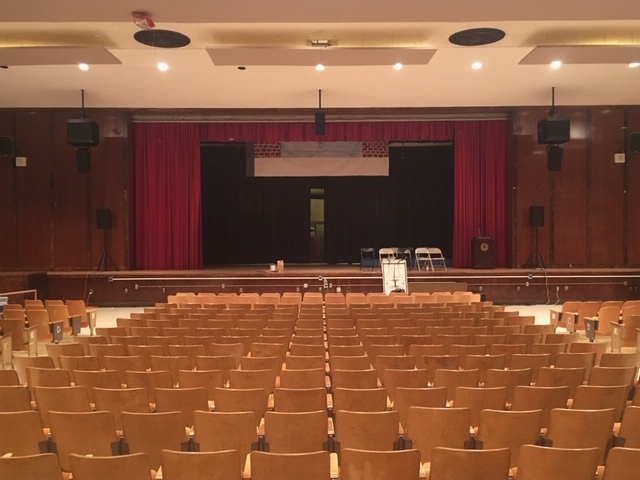 If any of our products can help with your flown speaker installation or if you don’t see what you need on our website, call our Audio Rigging Consultants at (413) 586-4444. Image | March 13, 2015 July 7, 2016 | Polar Focus, Inc. 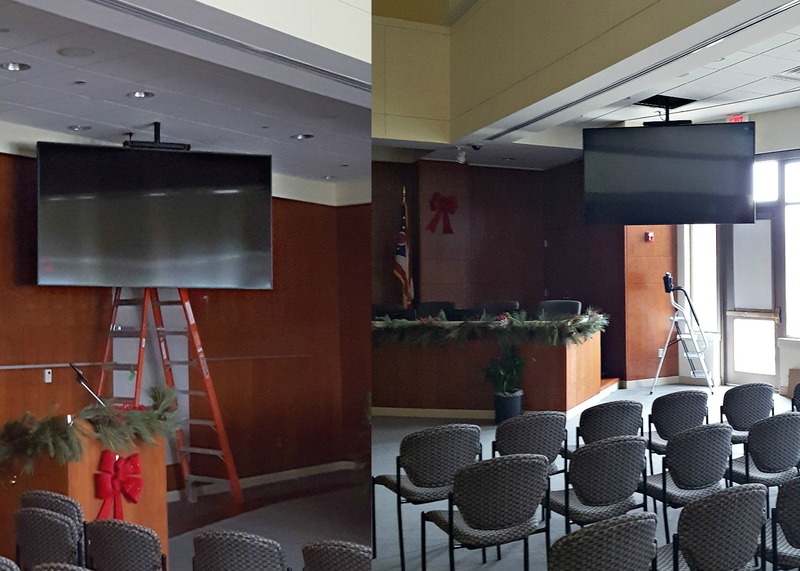 This was a recent installation at Illinois State University. 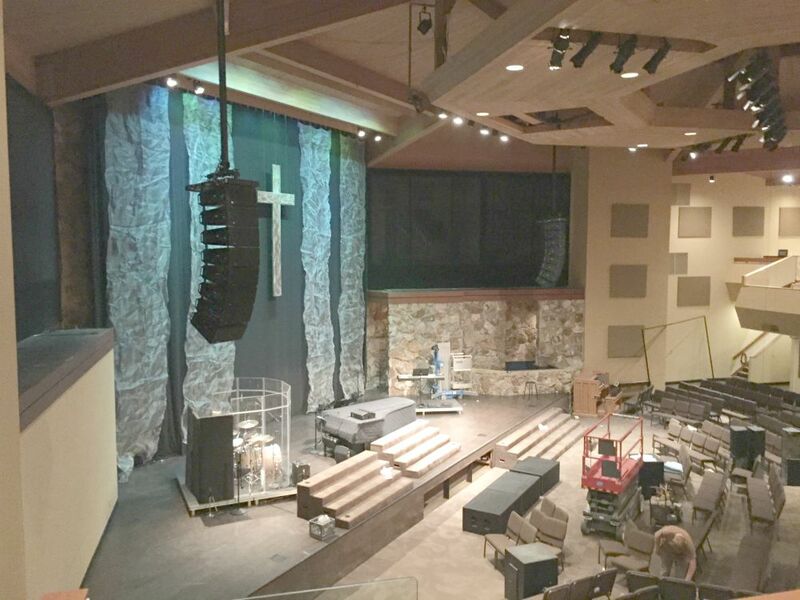 Polar Focus worked with Chuck Fudge, Technical Director at Illinois State, to hang these EAW Eastern Acoustic Works SB1001 subwoofers. Photos courtesy of Chuck Fudge. EAW- Eastern Acoustic Works SB1001 set up in a four way cardioid cluster for outstanding subwoofer performance. Polar Focus designed the complete custom cluster, all the way up to the roof attachment. This is a single Eastern Acoustic Works QX series loudspeaker, flown using a tilt cable kit and a strut for a super neat installation.